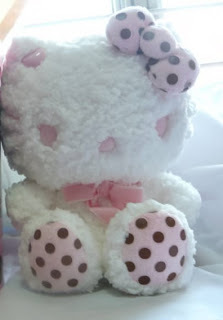 Who doesn't love SANRIO's Hello Kitty Momoberry? Pink and quirky are what Momoberry is all about! 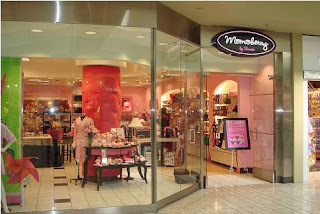 Other than Japan, the only "Momoberry by Sanrio" store in the States was opened in Beverly Hills, CA in 2005. Definition of Momoberry: Momoberry is Hello Kitty with a twist -- breezy, quirky, stylish, a little older, surprisingly sophisticated and of course very pink. *** here's another going around the net: "We think of Momoberry as a state of feeling peachy, pink, breezy, quirky, stylish, and sophisticated." Momoberry's iconic image is to give Hello Kitty an eyelash and a heart on it's right ear. Momoberry closed it's doors in 2007 due to not making enough profit for Sanrio -- PLEASE COME BACK TO L.A.!!! When I was a little kid, every time I visited a sanrio store, I felt like I traveled to a different world that had every girl's little dream of so many beautiful, colorful, and cute things... it almost felt like I was a little kid in a candy store! I never thought that feeling would go away. But, it did in 2002. It was a disappointing feeling of high expectation to expect the continuation of quality and creative designs from Sanrio. 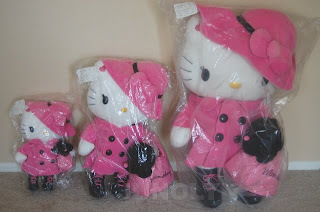 It felt like the products were mass produced and the "special" feeling of what we loved about Sanrio was suddenly gone. The "special" feeling came back when I stepped into the Momoberry store for the first time in 2005. It was such a great feeling that I missed for a long time. It was also the only Hello Kitty store that I've seen selling humongous sized plushes! Truly there are sanrio addicts like me that would actually purchase those huge plushes. Now you know why I am such a big fan of Momoberry. Quality design, products, and creativity. Amazing stuff for a girl like me who's ultimate favorite color is pink and just loves pretty things. 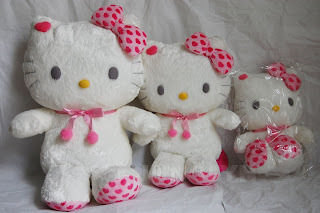 Momoberry might cater to those Hello Kitty adult fans with charge cards, but I'll always remember the store for my love of plushes. The store sold many things, but one thing I always went for are their infamous designed plushes. That's the only thing I cared about when I entered their Momoberry store. Now with Momoberry closed, the only closest thing that is similar to Momoberry is a new brand store called Sanrio Luxe. 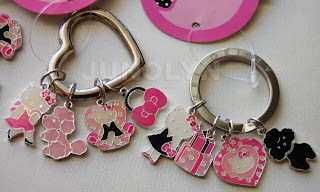 From the pictures that I have seen, Sanrio Luxe hasn't yet pushed me to be a great fan like I am with Momoberry. I am a loyal Momoberry fan for life, but don't expect me to love every little thing that is branded with the title, "Momoberry." 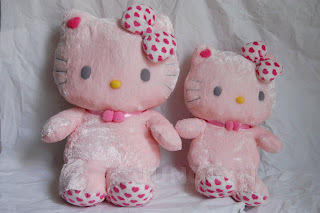 After 2007, I'm disappointed with the designed Momoberry plushes out there that comes from Japan. They're not as good as the plushes sold in L.A. during 2005-2007. I hope they haven't run out of "creativity" steam over there in Sanrio. Are you listening, Sanrio? Bring back Momoberry to Los Angeles where it belongs! 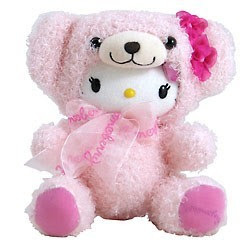 I'm probably going to whine about bringing Momoberry back to L.A. a lot in future blogs, so bear with me, Sanrio addicts! Now, who's with me with flooding Sanrio with love letters addressed to their Momoberry Headquarters?? ?